For the 83rd Annual Academy Awards, the Academy of Motion Picture Arts and Sciences will be going about as far away as Steve Martin and Alec Baldwin as you can get. It’s been announced that Anne Hathaway and James Franco – two other Saturday Night Live hosting vets – have been asked to front the live event. 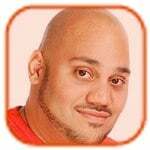 This would be the second year in a row a pair of actors shared hosting duties. Although James Cameron seemed genuinely pleased for his ex-wife, there was one person who wasn’t happy about Kathryn Bigelow’s Academy Awards success: Sigourney Weaver. In a Brazilian interview to promote Cameron’s move, the Avatar actress said Bigelow’s gender was the reason why she nabbed the first Best Director prize ever for a female director. Oscar history may have been made inside the Kodak Theatre last night, but the quote of the evening was said outside on the red carpet. In the event you missed Precious star Gabourey Sidibe during the pre-show coverage, I’ll just let you watch the clip and hear her describe the dress for herself. Why Was Farrah Fawcett Not Mentioned at Oscars? I was too distracted by Demi Moore’s thin frame last night to initially notice this omission. But let me assure you—many people on Twitter didn’t, and neither did Ryan O’Neal. Although Patrick Swayze, David Carradine, Natasha Richardson and Michael Jackson were some of the names included in the Academy Award’s “In Memoriam” segment, one name was left off that annual list: Farrah Fawcett. 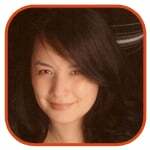 Click to continue reading Why Was Farrah Fawcett Not Mentioned at Oscars? When you throw in an extra host, add five more Best Picture nominees, take away the Best Song performances and nominate two formerly married directors—what do you get? A night that will surely be talked about. Although many believe the 82nd Annual Academy Awards will end with very few surprises, the possibility of an upset is still too great to ignore. Will the box office champ (Avatar) win Best Film as well? Or will The Hurt Locker - or even Inglourious Basterds - take the prize? Is Jeff Bridges a shoo-in for Best Actor…or could BAFTA winner Colin Firth sneak past him? Will Sandra Bullock have to deliver another acceptance speech, or will Meryl Streep take home her first Oscar since 1983? To find out if the ceremony ends in a world of Hurt or Up in the Air, stay tuned here for the live results! If you’ve ever found yourself tuning out during the ritual Academy Awards musical performances, this announcement may come as good news to you: next month’s telecast won’t be featuring any. To be clear - I should, of course, say the Best Song nominees won’t be performing any. I wouldn’t be surprised if co-producer Adam Shankman threw a musical montage into the broadcast somewhere. While I can’t say I would entirely miss that portion of the program, it saddens me to think that beautiful songs like “Falling Slowly” (Once) might not get the attention they deserve. And where else could you possibly see “It’s Hard Out Here for a Pimp” performed before a sea of tuxedos? Not sure if you’ll be able to preview the Best Picture contenders before the Academy Awards air in just a few weeks? Groaning because ten nominees are now in the running? Well, AMC Entertainment may have a solution for you. Starting later this month, select AMC theaters will air a marathon of all ten films. 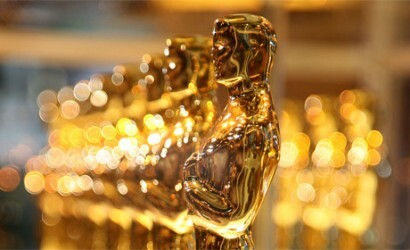 The event - which will last over two different weekends - will start February 27 and end March 6 (one day before the Oscars broadcast). Those who purchase a pass to the event will get free popcorn and unlimited refills for each day they attend. More information on participating locations, scheduling, etc. can be found here. After the list of Academy Award nominees were announced this morning, two movies rose to the top of the pack. 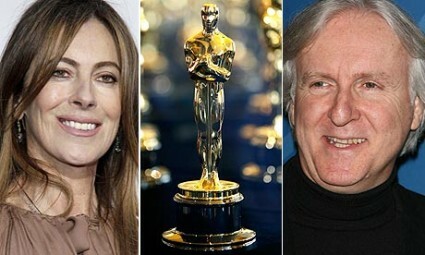 Avatar and The Hurt Locker - helmed respectively by James Cameron and Kathryn Bigelow - both lead the field with nine nominations each. Thankfully, the formerly married directors still get along. Even though this will be the first time since 1943 (when Casablanca won) that ten films will go up for Best Film, this year’s list only revealed a handful of surprises. Those who have been following other ceremonies during this awards season saw very little changes in the acting categories. Many had hoped The Hangover, Star Trek and/or (500) Days of Summer would go up for Best Picture. Many were left disappointed. Is this the first time Daniel Day-Lewis wasn’t nominated for simply breathing? Speaking of leading women, there will be three newcomers going up against vets Streep and Helen Mirren (The Last Station): Sandra Bullock (The Blind Side), Carey Mulligan (An Education) and Gabourey Sidibe (Precious)—someone who wasn’t even an actress to begin with! Disney/Pixar’s Up will be double-dipping it this year. The feature has been nominated in both the Best Film and Best Animated Film categories. 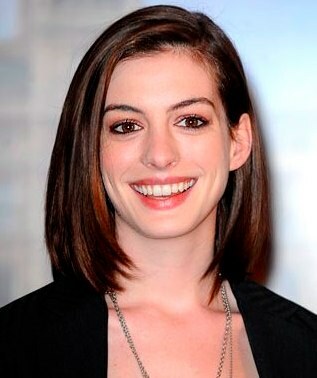 Anne Hathaway will be up early next week to announce this year’s Oscar nominations. The Devil Wears Prada star - who was nominated for her role in Rachel Getting Married last year - will join Academy President Tom Sherak for the official presentation. 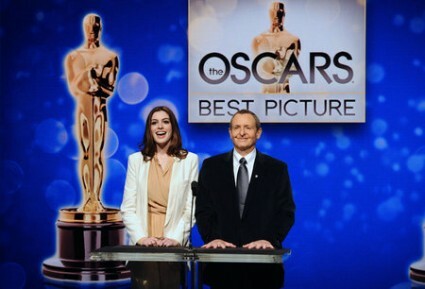 Sherak and Hathaway will reveal the nominations in 10 of the 24 categories at the Academy of Motion Picture Arts and Sciences’ press conference. The event will take place Tuesday, February 2, from Beverly Hills.